James M. La Rossa Jr. was born in Brooklyn, NY, and raised in Manhattan and Connecticut. 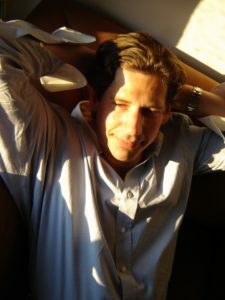 He is a publisher, journalist, and third-generation New Yorker. La Rossa spent four years in the writing department at Sarah Lawrence College. In 1984, he left Fordham Law School to become a journalist and book reviewer for The International Courier in Rome, Italy. La Rossa has almost 1,000 bylines in subjects as varied as literature, medicine, and business. Upon his return to New York City, he wrote for Fairchild and ABC/Cap Cities, before founding MedWorks Media Inc., one of the largest publishers in psychiatry, drug development, and mental fitness. In 2006, he relocated permanently to Southern California. His dying father—the famous trial lawyer and political insider, Jimmy La Rossa—joined him in Manhattan Beach, California, on January 30, 2010. In the last five years of his life, the legendary attorney revealed to his eldest son and confidant the most closely-held secrets to more than a generation of New York City’s organized and white-color crimes. In addition to his work as a memoirist, La Rossa is the CEO & Publisher of Medworks Media Inc., a digital & print publisher of some of the most prominent scientific journals and special educational projects for psychiatrists, psychopharmacologists, and the larger medical community. He s a member of the New York Academy of Sciences. Before he left New York for California, he headed the Executive Committee of the American Foundation for Suicide Prevention, a group comprised of neuroscientists and pharmaceutical industry executives dedicated to the research and prevention of suicide. La Rossa is on the President’s Advisory Council of Phoenix House, a drug and alcohol rehabilitation group for adolescents and young adults. He is a member of the World Psychiatric Association, a vested member of the American Civil Liberties Union, and a member of Amnesty International.